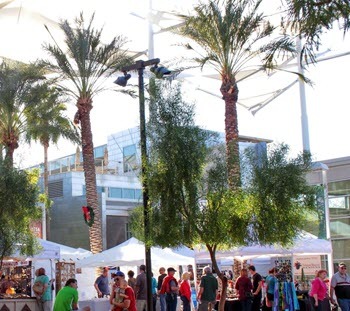 Phoenix Festival of the Arts returns to Hance Park in Downtown Phoenix, December 7-9, 2018. 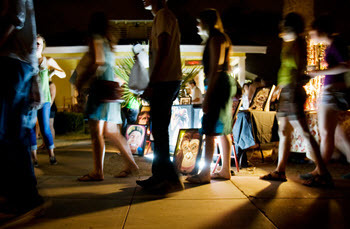 Phoenix Center for the Arts is proud to present the seventh annual event, featuring more than 150 art and food vendors. Live entertainment takes place on three stages and includes local bands, solo artists, dancers, choral groups, spoken word artists, comedians, art demonstrations, and more! Join us on the first Friday of every month from 6-10 p.m. for one of the nation’s largest, self-guided art walks. Tour more than 70 galleries, venues and art-related spaces to see a variety of artwork and to enjoy the spirit and culture of the city. 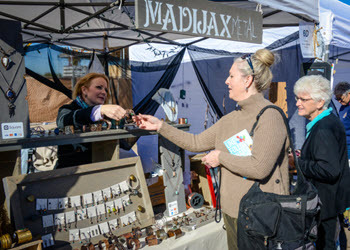 The annual festival will feature original works of art for sale from local, regional and national artists in various mediums; live entertainment showcasing local and national talent on two stages; live artist demonstrations; Family Activity Area and an array of culinary delights. Everyone loves a parade, right? A parade that floats…even better! 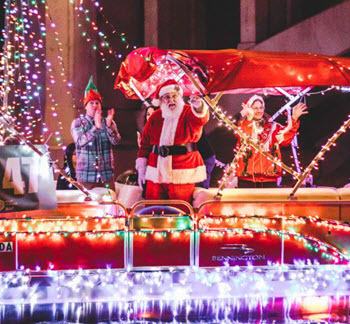 We invite the community to take part in our holiday tradition at Tempe Town Lake by joining us for the 20th Annual Fantasy of Lights Boat Parade. Watch as 50+ festively-decorated boats float on the lake. Enjoy food from our on-site food trucks, get your holiday shopping done at the Holiday Market, and enjoy a glass of beer or wine while watching live entertainment on the main stage. Hit the trails and then hit the bar for some ales with us! 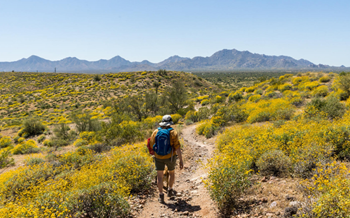 Join us for a morning hike and an afternoon drink.